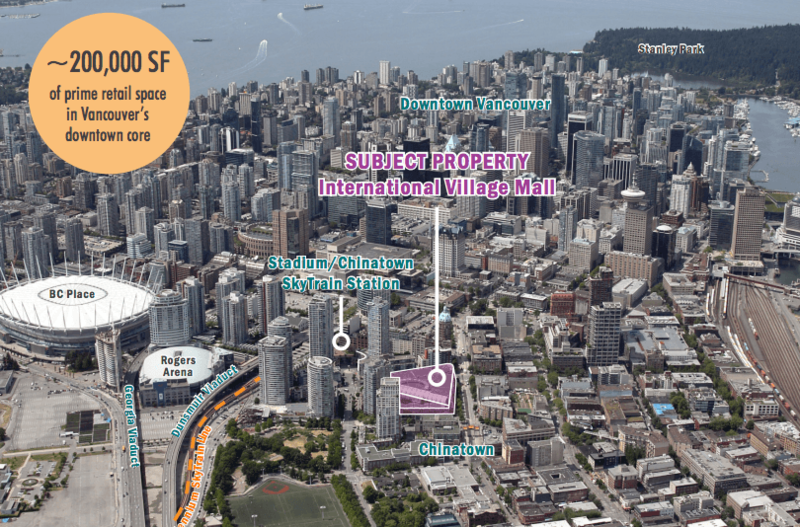 It appears a major retail hub in downtown Vancouver is no longer for sale. International Village mall, which used to be called Tinseltown, hit the market last week as part of a package deal of retail properties being marketed by the CBRE as the Henderson Retail Portfolio. Although no price was being publicly listed, the mall’s value is certainly high. It sits on 3.38 prime acres and makes up a whopping 195,000-sq-ft of retail space, although it’s not currently being optimized. 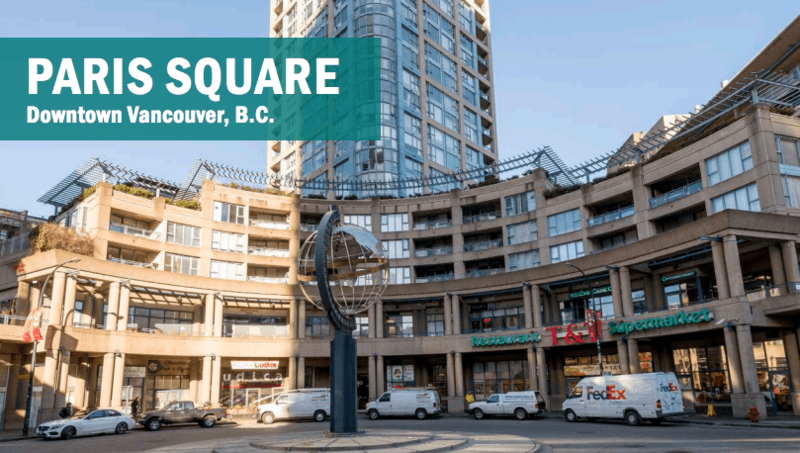 Listed by the CBRE, the portfolio included the mall on West Pender Street, as well as Paris Square across the street (which houses T&T Supermarket), and Henderson Place Mall in Coquitlam. But as of Sunday, International Village mall is no longer listed as part of the sales portfolio — and all mention of the mall has been removed from the listing. 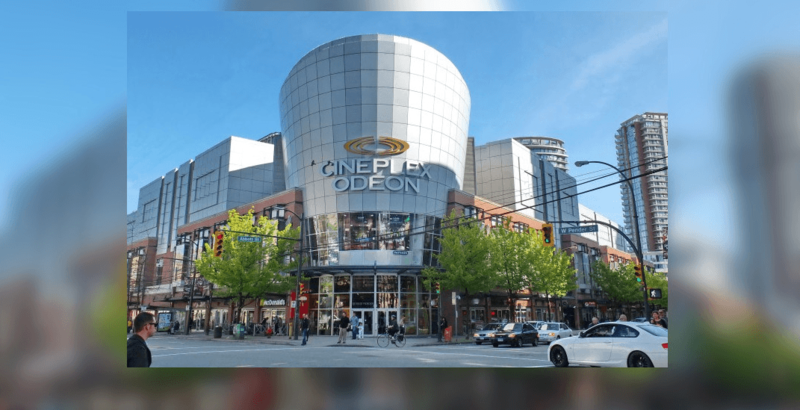 Daily Hive reached out to CBRE to find out more information, including whether the property has been sold, or just taken off the market. A spokesperson for the real estate group said they “are unable to comment at this time” about the commercial real estate listing, and the mall’s disappearance from it. We’ll keep you posted on any developments in the story. 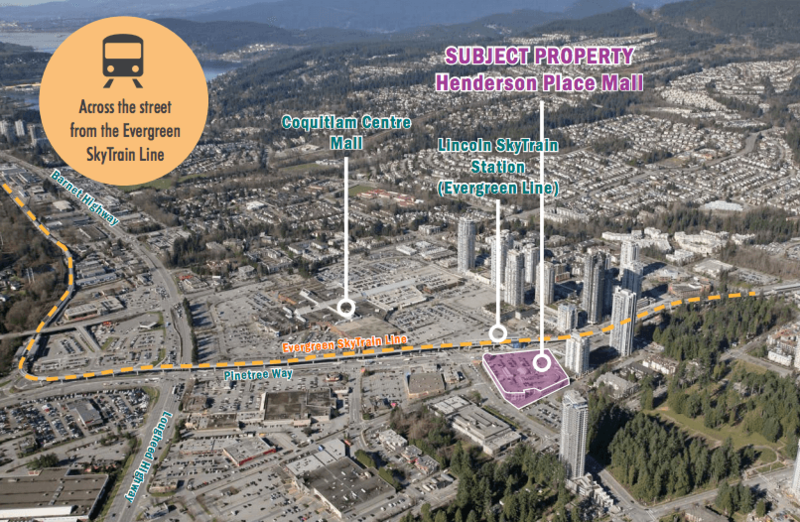 In the meantime, Paris Square and Henderson Mall in Coquitlam remain for sale.